Necklace made in coral with a yellow gold chain. 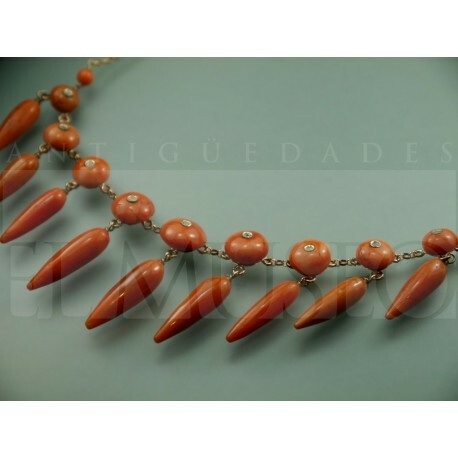 Precious necklace made up of nine coral round cabochons with a diamond embedded. 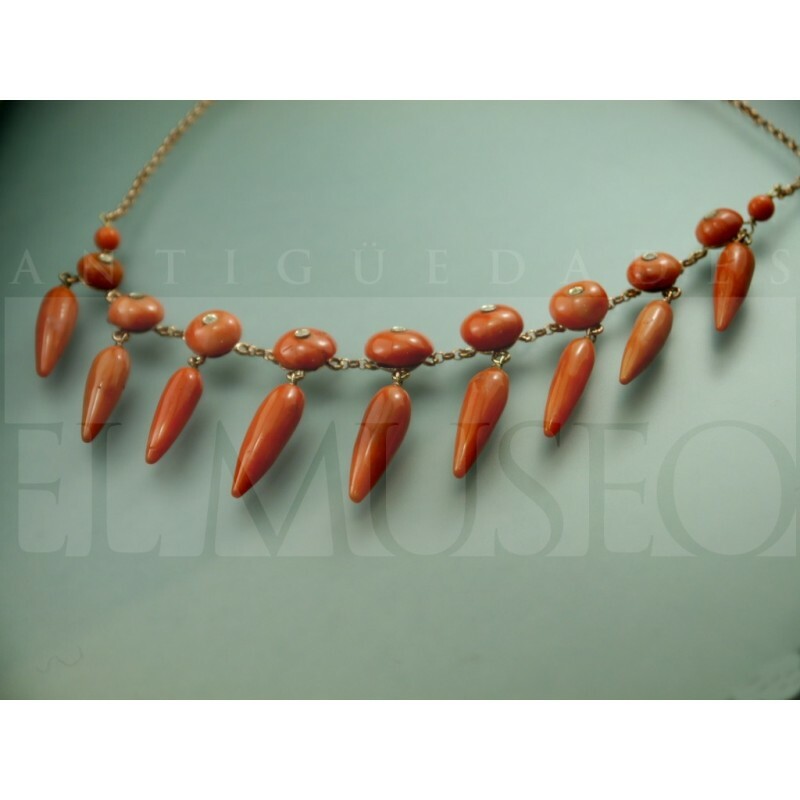 There are nine pieces of coral hanging from of each round cabochon. Everything is mounted on yellow gold. Materials: Coral from Sardinia, diamonds and yellow gold.